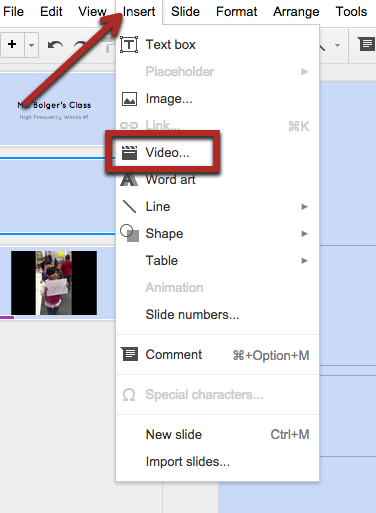 Inserting a video into a Google Slide is simple. Open the Slide you’d like to add a video to. Choose ‘Insert’ from the top menu, then ‘Video’. Once you choose ‘Video’ a pop-out window appears. 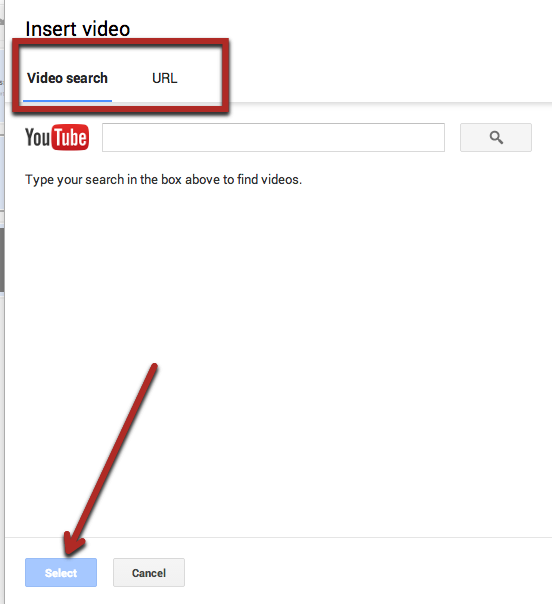 You then have the option to search for a YouTube video by either URL or Search by keywords. When you find your desired video choose the blue ‘Select’ button on the bottom left. It will then appear on your slide. This entry was posted in Google, How To and tagged Google, Google Slides by Admin. Bookmark the permalink.